Good quality, farm raised food products for your family! We sell top quality, hormone free and farm raised beef including steaks, roasts, ground beef & more! Our chickens are grain fed and hormone free. We sell whole roasting chickens, individual chicken pieces and eggs. We offer a variety of different cuts of pork products including bacon, pork chops and more! Come on out to our country store, found right in the heart of our farm. 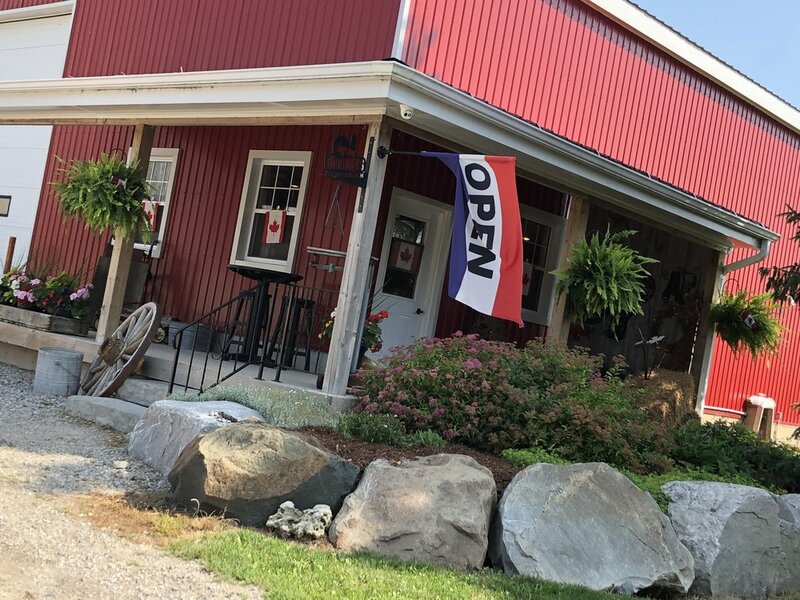 We have lots to offer from farm raised, growth hormone free beef, chicken and pork, to farm fresh eggs, Rolling Ridge Maple Syrup products, candles, signs, seasonal and home décor. Get the whole experience by coming out and seeing the animals, enjoying a hot beverage and some goodies, and leave with some products that are sold to you with love. There is always a good conversation to be had, something new to learn or teach us, and friendships to be created and cultivated. You don't want to miss out on this experience! We can't wait to meet you! Each week we have specials that are posted here and on our Facebook page! We provide the best quality meat around while also appreciating that you and your family are conscious of your budget but want to eat healthy! We now offer a customer appreciation/loyalty card. For every $75 you spend in our store, you will get a stamp. Once you have received 10 stamps, you will get 15% off your next purchase! Next time you are in our store, please be sure to get one!